We went to this beach right before sunset and there were hundreds (maybe even thousands?) 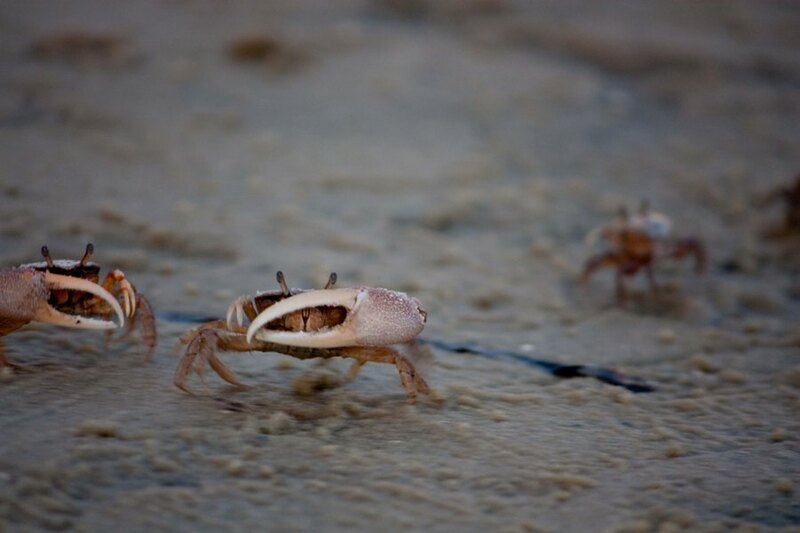 of these little crabs running to get into their tunnels. They were so small (1-2 inches) and blended in with the sand. It was a little tricky to get around. Little fiddler crabs...so fun to watch them scurry. We lived on the Gulf Coast for several years, hope you enjoyed your stay.